After visiting with a few customers in recent weeks, I am reminded of the importance of backing up POS data. Independent merchants often lose sight of the importance of this concept. Often times, it is a simple case of “out of sight – out of mind.” Other times, merchants assume that their POS provider is taking care of these tasks for them. Although this may be the case in some instances, it is critical that independent merchants understand the importance of backing up the POS data as how it works, where the backup resides, etc. POS systems are deployed in a variety of ways. The architecture of the POS software as well as the database platform used can sometimes determine how the POS solution is deployed. Other factors are the number of sites involved, ownership structure, hardware in place, etc. One primary consideration is whether the POS data resides at the merchant’s facility or in an off-site data center. As far as POS data backups are concerned, the systems that are deployed with data residing at the merchant’s site are typically the most suspect to failure in the database backup and disaster recovery concept. Although this “localized” model is common with POS deployment, these merchants need to be the most cautious with the backup and recovery plan. Receipt printers can be replaced quickly. Touch screens and cash drawers can be replaced easily. Even PC’s, touch terminals and POS software are fairly easy to replace in the entire scheme of things. The one and only item that absolutely cannot be replaced for a merchant in the event of a disaster is the POS data. The POS data is the only portion of your POS system that is unique to the merchant and cannot be replaced by the POS solution provider. When a storm like Hurricane Sandy causes widespread damage, merchants need to be reminded of this and take action immediately. All the bottled water and toilet paper in the world will not recover your POS data in the event of a disaster. 1. If your POS data resides in a data center (the cloud), there should be enough redundancy built in to recover from just about any disaster. However, it is better to be safe than sorry. Find out what type of redundancy is in place and how quickly data can be restored is something terrible should happen. Do you have anything in writing? If it is way over your head, do you have an IT consultant who can understand it and explain it to you or work with the data center on your behalf? 2. If your POS data resides at your facility, are you making frequent backups? If it is supposedly happening automatically, do you check to verify that it is happening at the scheduled time or is it simply out of sight – out of mind? 3. Do you remove a copy of your POS data backup from the site on a regular basis? If your building burns to the ground, your data backups won’t do you much good if they are inside that building. 4. Do you know the process for restoring your POS data? Do you know how long it takes? If you have a solid support agreement with your POS provider, you may not need to worry about this. If you don’t have a support agreement in place, it is critical that you find out how to restore from a backup. With decades of experience as a POS solution provider, we have seen our fair share of disasters in this area. Don’t allow yourself to become the next statistic. Protect your POS data in every way that you can. 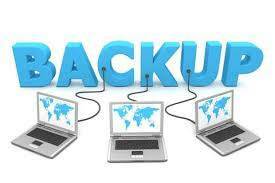 Our best recommendation is to partner with a company who specializes in off-site backup and recovery systems. This will usually take the entire process completely out of your hands. If you need help with this, we can provide some recommendations for reputable companies who provide these types of services at affordable prices. By the way, just like anything else, the cheapest backup program is typically not the best backup program. Be careful to make sure the program you select supports the database platform of your POS system and also guarantees a speedy recovery in the event of a disaster. If you have any questions in regard to POS data backups or any other POS deployment concerns, feel free to contact us directly at info@posprophetsystems.com. 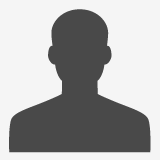 Sean is the President of POS Prophet Systems and a graduate of Indiana University of PA.